Ireland is a culture-rich country adorned with cobbled streets and alive with music. It is also known to many as the Emerald Isle, I have come to believe not only for its vast green plains, but more so for it’s people who are rarer than any jewel for their unrivaled kindness and craic. 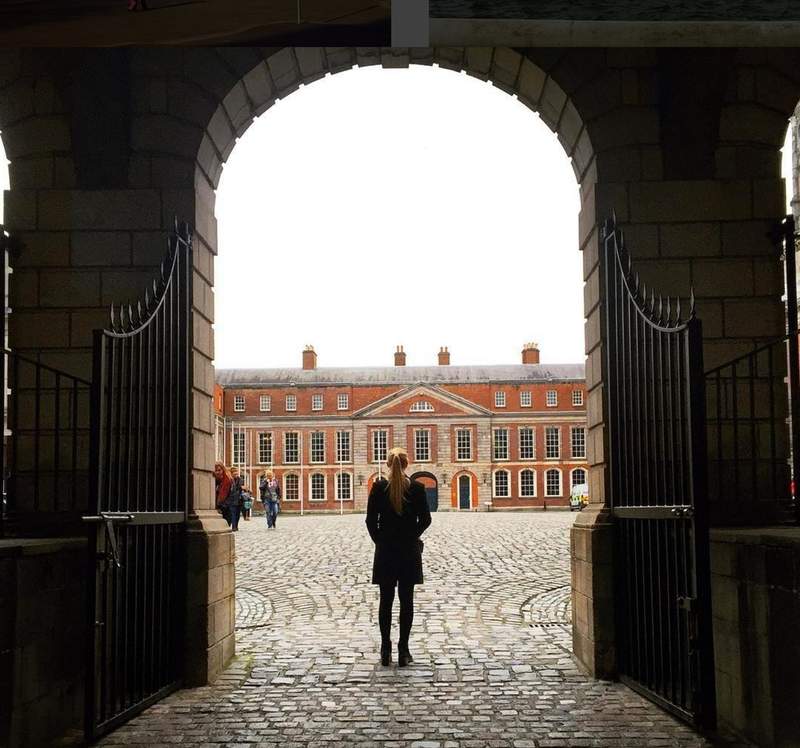 Let me guide you through one of my favorite cities: Dublin, Ireland. The Westbury Hotel is located on Grafton street in Dublin’s fashion district. This charming haven boasts a fantastic afternoon tea and has been home to several famous guests on their visits to Dublin including Britney Spears (pre-2004 meltdown). Located on the banks of the River Liffey the Clarence, owned by U2 front man Bono, has been adorned as Dublin’s “original Rock’n’Roll hotel.” The Clarence is home to my favorite brunch spot in Dublin, Cleaver East, and borders Dublin’s famous Templebar district. This top floor apartment in Dublin’s city center not only puts you in the heart of the action being in close proximity to the best restaurants and shops, but it also sets you in walking distance from some of the cities best attractions. It’s no secret the Irish to drink – so do as the Irish do and take part in tour of one (or all) of Irelands many distilleries. Guinness, Jameson, and the Irish Whiskey Museum are all located within walking distance of Dublin’s City Centre. For Jameson and Guinness be sure to make reservations in advance online. *If you go to the Guinness distillery make sure to take your free pint up to the Gravity Bar for the best view of Dublin. Want to get a real taste of Irish Culture? Catch a Gaelic game at Croke Park! Gaelic Football has been around for over 100 years and it incorporates aspects of American Football, Soccer, and Rugby. These elements combined with the unmatched Irish pride you’ll experience at Croke Park make for a truly unforgettable experience. If you prefer Rugby, hop over to Aviva Stadium for a match! Both venues also boast an array of concerts year round – don’t forget to check their websites for updates. Phoenix Park is one of the largest parks in Europe (1,750 acres). The park is home to the Dublin Zoo, the People’s Gardens, several monuments including the President’s home known as Áras an Uachtaráin, and the Wellington Monument which serves as the largest obelisk in Europe. While in Phoenix Park you’re likely to come across a herd of friendly wild deer notorious for enjoying carrots and other snacks from park visitors. Located in the heart of the Templebar district, Norseman is one of my favorite pubs to grab dinner and a pint. This pub also boasts some of the best local acts in Dublin. Rustic Stone the top restaurant in Dublin and is known for having one of the best chefs in Ireland, with one bite you’re sure to taste why. Make sure to save room for desert here! Porterhouse has 4 locations around the city. My personal favorites are Trinity Green and Temple bar. Great food, live music and a unique atmosphere keep these locations bustling at all hours. If you’re looking to catch an American sports game while in Ireland Murray’s is the place to go! They have a huge outdoor living room with massive screens and a wide selection of food and drink. The Guinness Cheesecake is a must. O’Neill’s is another of my favorite hangouts. It has an inviting traditional Irish atmosphere and a mouth-watering Irish lunch spread. If you’re lucky enough to snag one of the windowed booths, you’ll have the best people watching spot in the city. If you visit O’Neill’s on your Irish expedition be sure to pay close attention to pictures on the wall – you might catch them moving. Cleaver East is located within the Clarence Hotel and is my favorite brunch spot in the city! They also are rumored to have a sensational dinner menu. Located on the Liffey near Temple Bar Bison is a great place to grab a bite and enjoy any of the 150 whiskies they offer. I regret to say I was unable to try out Whitefriar Grill during my time in Dublin because it was always packed. However, the food has amazing reviews and they’re said to have a phenomenal brunch spread. Be sure to make a reservation in advance! If you’re looking to catch a concert while in town or just grab a pint, Whelan’s is off the beaten path and one of Dublin’s best kept secrets. Great place to go if you want a low key night out, you can even play board games. Opium has several different rooms to suit your flavor for the night, my personal favorite is the jungle-themed room. Walking is one of the best ways to get around Dublin, but if you’re not feeling ambitious cabs are generally inexpensive. Whenever I get a cab I use MyTaxi, similar to Uber, MyTaxi is the most effective app for hailing cabs around Dublin. If you’re staying in Dublin for an extended period of time it may be worthwhile for you to figure out the bus system. If you choose this route getting a Leap Card is an easy way to pay your bus fare. Leap Cards can be purchased at the Dublin Bus office on O’Connell St. The Cliffs of Moher is a very popular day trip from Dublin. If you’re going to do this trip I recommend spending a day in Galway. On my first day trip from Dublin I took the train to Bray and hiked from there to Greystones. If you like hiking I would definitely recommend this trip. Malahide Castle and the Blarney Stone are another popular destination close to Dublin.